Depending on your projected sales volume of ssl certificates, you can "buy" into a higher discounting bracket (click here for pricing tiers), resulting in lowered costs and increased profitability. These brackets are suitable for organizations of all sizes; from independent consultants to government institutions to globally based hosting companies, there's a right fit for everyone. From the administrative screen, you can manage the full life-cycle of each ssl certificate request including buying or renewing certificates, reprocessing existing certificates, or even revoking certificates. Manage your dynamic SSL Secured Smart SeaLs from your administrative screen and choose from a number of designs; you can choose a different design for each site. Even the validation process can be handled on your end (subject to agreed Terms and Conditions) to allow you control over all aspects of your ssl certificate issuances or simply let the validation technicians at SSL.com handle validations diligently so you can focus on what matters to you. Our 24/7 excellent customer support is there for you in the event you have any issues ranging from installation problems to validation questions to anything that will help you get up and running with SSL security quickly. You can chat with someone 24 hours a day through our toll free 877-SSL-Secure (877-775-7328) phone number, or visit support@ssl.com to find answers or open a support ticket. The SSL Reseller Program is the perfect white-label solution for your ssl certificate needs. Set reminders for expiring ssl certificates and customize the reminder notices to gain more control over what is included in each reminder. You can even set the time period when they are sent out and to which email addresses. The detailed reporting allows you more insight into your order history as well as SSL Certificate purchase history. Filters allow you to search based on a number of factors such as domain name, time period reporting, and more. 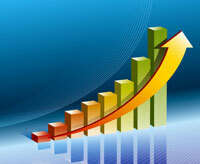 Improve efficiency and productivity by interfacing with SSL.com's RESTful api. 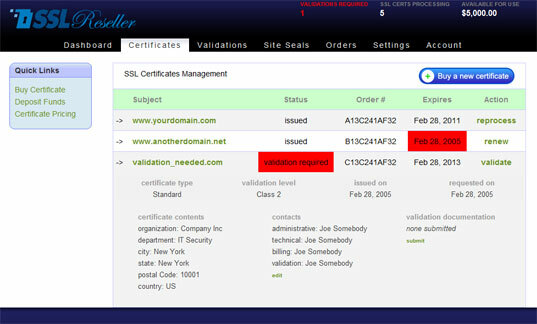 No need to login through a web page and manage your certificates from your SSL Reseller interface. You can now handle all ssl certificate life-cycle operations through the RESTful api and build a custom solution more tailored to your needs. This great for host providers and other value added resellers or as a white-label solution.